FTSE online gambling group GVC Holdings has today detailed its proposed bid for bookmaker Ladbrokes Coral Plc, putting forward a takeover deal that could be worth up to £4 billion, creating a new multi-channel, multi-market gambling group. Bringing clarity to its initial bid (first announced 7 December), GVC’s proposition values Ladbrokes Coral at 160.9p per share, equating to approximately £3.2 billion. However, deal stakeholders have attached a ‘contingency entitlement’ of an additional 42p per share, should Ladbrokes Coral gain a favourable UK government judgement on FOBTs wagering levels, increasing GVC’s takeover deal to £4 billion. Under the terms of the deal GVC Holdings who operate bwin, Sportingbet and Party Gaming brands would own 53.5% of the proposed combined group. Based on £4 billion deal outcome at 207.2p per Ladbrokes Coral Share, GVC’s offer represents an investor premium of approximately 19%. UK betting stakeholders, eagerly await the Department for Culture, Media and Sport (DCMS) industry review on FOBTs machine wagering and advertising standards. In its review, the department has stated that a cap on machine stake wagering will be implemented, with a cut from the current £100 maximum to between £2 and £50 outlined. 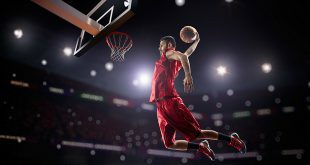 Kenneth Alexander, CEO of GVC, said: “The creation of one of the world’s largest listed sports betting companies, combining a portfolio of established brands, proven technology and leading market positions in multiple geographies, is a truly exciting prospect. “In a dynamically evolving industry, the transaction creates an Enlarged Group with the scale, diversity, proprietary technology and management expertise to pursue many opportunities globally. In its previous deal announcements, GVC governance has put forward Kenneth Alexander as designated CEO of the enlarged FTSE gambling group. 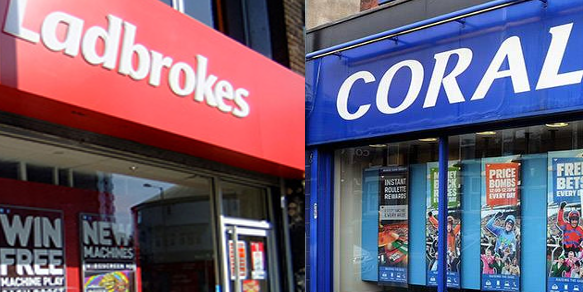 Should the takeover bid be approved by Ladbrokes Coral investors, deal stakeholders believe that the enlarged enterprise can deliver £100 million per year in cost savings. John Kelly, Chairman of Ladbrokes Coral, added: “In its relatively short time as a merged entity, Ladbrokes Coral has demonstrated why scale can be so effective in this market. “The management team have delivered a very successful merger that has created a leading betting and gaming business built on strong brands well positioned in key markets. 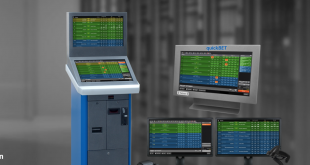 “We have a leading multi-channel offer that utilises our retail and online businesses and offers us a promising future. “Notwithstanding that, the Ladbrokes Coral Board believes that the proposed combination with GVC accelerates our strategy to improve the customer experience, drive faster online growth and build a more diverse and extensive international portfolio of businesses. At present, both operators are undertaking strategic realignments following corporate enlargements in 2016; Ladbrokes combining with Gala Coral UK and GVC Holdings acquiring bwin.party Entertainment assets. Moving forward, Ladbrokes Coral investors will now vote on whether to approve the takeover of the business by the smaller GVC Holdings. 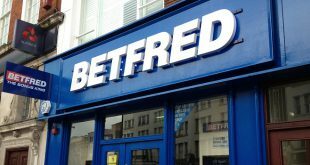 Labelled by industry analysts as a ‘bold and ambitious bid’ proposed by GVC governance, will Ladbrokes Coral investors be convinced of a further corporate merger in 2018?